Fairlane Green is near 100% occupancy, the majority of its tenants are well-known national retailers performing well above national averages, and it is located at a prime retail location within the trade area. Constructed in 2005, Fairlane Green is home to TJ Maxx, Bed Bath & Beyond, Barnes & Noble, Michael’s, Old Navy, Ulta, Pier 1 Imports, The Gap, Five Below, Famous Footwear, Panera Bread, Bath & Body Works, dressbarn and Carter’s, among others. National restaurants On the Border, Chili’s and Longhorn Steakhouse also operate within the center, pursuant to ground leases. Overall, national retailers occupy 89% of the property. Fairlane Green is shadow-anchored by an adjacent Target store, which drives additional retail traffic to the property. 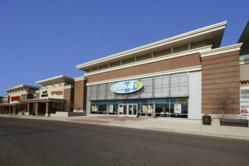 The shopping center is located on Fairlane Drive in Allen Park, between I-94 and the Southfield Freeway, in a historically strong retail corridor. Allen Park is part of the “Downriver” communities of the Detroit metropolitan area, a collection of 18 suburban cities and townships located south of Detroit along the western shore of the Detroit River. The Ford Motor Company has long been an integral part of Allen Park, with many corporate offices and R&D facilities located within the city limits. Ben Wineman, principal of Mid-America Real Estate Corporation, represented the seller. Other recent multi-tenant retail acquisitions completed by Cole include Indian Lakes Crossing in Virginia Beach, VA (65,000 SF/$14.2 million); Kyle Marketplace in Kyle, TX (219,000 SF/$45 million); The Parke in San Antonio, TX (90,000 SF/$7.25 million); Silverado Plaza in Tucson, AZ (78,000 SF/$9.25 million); Cleveland Town Center in Cleveland, TN (153,000 SF/$17.65 million); Crossroads Marketplace in Warner Robins, GA (77,000 SF/$11.25 million); Shoppes of Sugarmill Woods in Homosassa, FL (53,000 SF/$8.1 million); Midtowne Park in Anderson, SC (167,000 SF/$25.6 million); and Belleview Plaza in Pensacola, FL (83,000 SF/$8.2 million). Founded in 1979, Cole Real Estate Investments is one of the most active acquirers of core real estate assets, managing one of the country’s largest portfolios of retail properties. Cole primarily targets net-leased single-tenant and multi-tenant retail properties under long-term leases with high credit quality tenants, as well as single-tenant office and industrial properties, using a conservative investment and financing strategy. At the end of 2011, Cole-related entities owned and managed more than 1,600 assets representing approximately 60 million square feet of commercial real estate in 47 states with a combined acquisition cost of approximately $10 billion. Follow Cole on Google+ and Twitter @ColeRealEstate and @ColeCapital.